Launched by Liz Burns (she blogs at A Chair, A Fireplace, and a Tea Cozy at School Library Journal), Kelly Jensen (she blogs at Stacked), and Sophie Brookover (she's over at Sophibiblio), Show Me The Awesome is a month-long series in May of 2013 in which people in library land write a post that promotes something about their work that they're especially proud of. The storms, in their own way, mark what I try to do with American Indians in Children's Literature, and with my lectures and publications. Storms uproot trees. They change the landscape. In significant ways, the landscape of children's literature changes organically, as society changes. There are exceptions, of course, and that's what is at the heart of my work. I've been working in children's literature since the early 1990s. I started publishing American Indians in Children's Literature (AICL) in 2006. It has steadily garnered a reputation as the place that teachers and librarians can go for help in learning how to discern the good from the bad in the ways that American Indians are portrayed in children's books. People who sit on award committees and major authors, too, write to me. So do editors at the children's literature review journals, and, editors at major publishing houses. Nyah-wheh to Debbie Reese (Nambe Pueblo) and her essential work at American Indians in Children's Literature for her courage, kindness, activism, and generosity, and for introducing me to my editor at Arthur A. Levine. Thank you to Cheryl Klein, that very editor, for actively seeking out indigenous writers, and investing in my work over the long haul. The introduction took place over email a few years ago. Once it was made, I was out of the picture. I wondered, though, if the introduction would bear fruit. And when I learned a book was in the works, I wondered what it was about. Would I like it? Would I be able to recommend it? Now, I know. With Eric's book in my hands, I can Show YOU The Awesome. 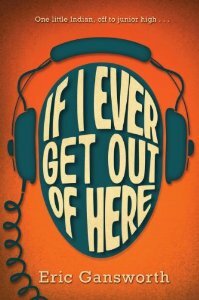 My essay about why it is awesome is here: What I Like about Eric Gansworth's IF I EVER GET OUT OF HERE. Years ago, illustrator James Ransome was asked (at a conference at the Cooperative Center for Children's Books at the University of Wisconsin) why he hadn't illustrated any books about American Indians. He replied that he 'hadn't held their babies." I've written about his remark several times because it beautifully captures so much. Lot of people write about (or illustrate) American Indians without having held our babies. They end up giving us the superficial or the artificial. They mean well, but, we don't need superficial or artificial, either. We need the awesomes. 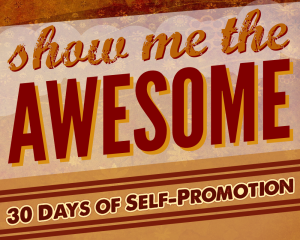 Yeah--I know--'awesomes' isn't a legitimate word, but I'm using it anyway. We have some awesomes. I've written about them on AICL, but we need more awesomes. Lots more, so that we can change the landscape. Awesome Books about American Indians? Order Eric's book, and those I mark as 'Recommended' on AICL. You could also check out the short lists (by grade level) at the top of the right-hand column of AICL. Join me. Let's change the landscape together.